A perfect package to take the hassle out of DIY in the kitchen or bedroom. 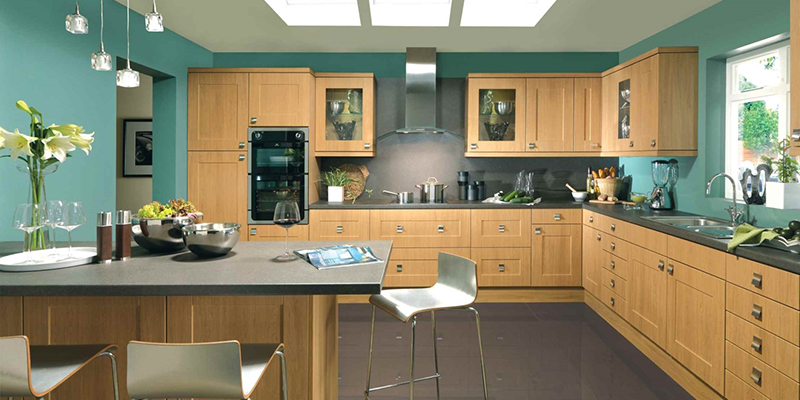 We’ll do the hard work for you with kitchens and bedrooms made any size, any colour, pre-built and ready to fit. Our delivery teams will build all kitchen and bedroom units that will not fit through your doorways etc., for free. For kitchens these are mainly these are mainly L shape corner units and tall larder/broom/appliance units and for bedrooms, these are mainly wardrobe units. The units we make are very strong and very quick to install plus you can have all the accessories such as panels, worktops, cornice, pelmet etc. pre-cut and ready to fit, where possible. We will even show you how to fit your units should you require this FREE service. For a free measurement service including advice and a quote, call or for more information, take a look at our kitchens and bedrooms pages. Did you know it’s actually cheaper to have your kitchen or bedroom made to measure, this can reduce installation time by 50% or more, they come pre-built ready to fit with nothing missing any size any colour, with solid wood support rails ( so they don’t break when to pick them up ) also vented removable solid backs, this is a must in the UK, to prevent mould growing on your walls behind the units and quick access to pipes and cables !!! You can only do this if you make them, all other companies are governed by restrictions, late deliveries, missing parts, sizes, you can’t have this colour you can’t have that, you can’t have a makeover you have to have a new one . At kitchens & Bedrooms, you can have what you want, when you want, at a sensible price !! with a 30yr warranty for peace of mind on all our kitchen & bedroom units.